We're about to hit September, and you might be feeling anxiety about you or your family heading back to school, the busy season at your office, or the prospect of a limited number of beach days left in the year. We feel you -- because even though we took a summer break, social media networks sure didn't. 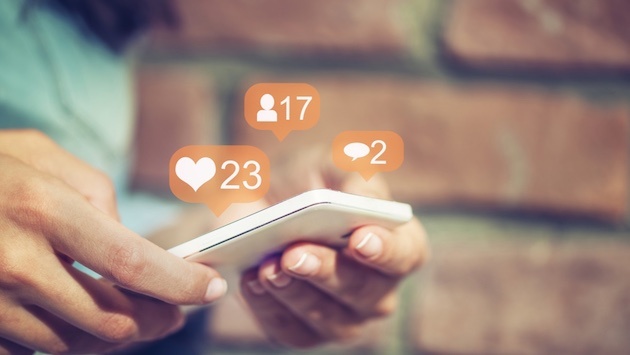 Social networks are constantly innovating new products and making tweaks that are hard to keep up with, which is why we started writing this monthly social media news roundup. 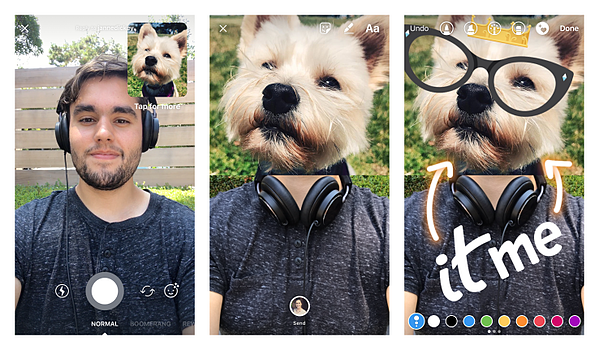 From Facebook to Snapchat, from new product launches to small tweaks, here's a list of what's new in social media this month. The list isn’t exhaustive, but you can expect to learn the major highlights -- what was launched, what changed, and what these stories could mean for marketers. The ephemeral messaging app will share original content from U.S. colleges and universities on Snapchat Discover -- in specific editions for each college's location. Business Insider noted that this is the first time parent company Snap Inc. has partnered with smaller publishers to create original Snapchat Discover content -- where previously, it's worked with outlets like Vox, BuzzFeed, and The New York Times. 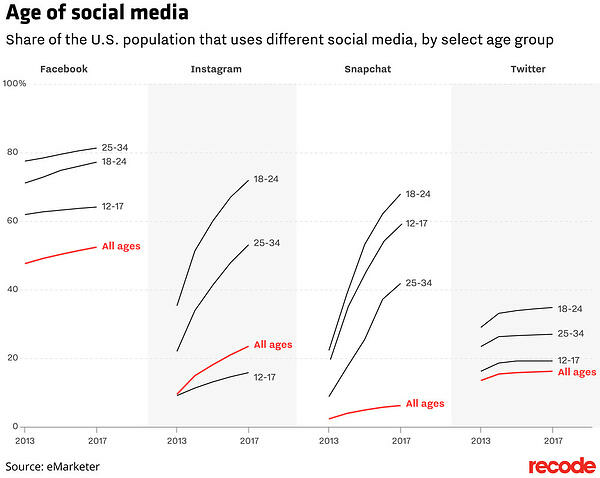 What is typical is Snapchat's push to engage younger users -- between the ages of 18-24, the demographic segment where Snapchat is most popular. More than half of eMarketer survey respondents between the ages of 18 and 24 said they use the app all the time. It'll be interesting to see how this content performs -- for Snapchat, and for the partner colleges creating the content. 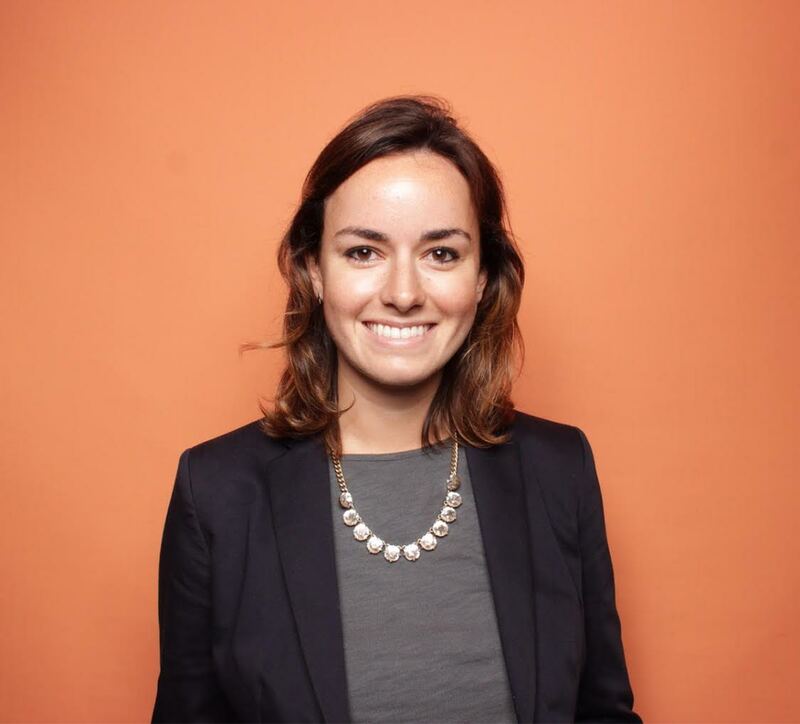 Young users are the app's path to growth -- or at least, its path to preventing decline -- more on that next. Parent company Snap Inc. hosted its 2017 Q2 earnings call, and the results weren't exactly 🔥. Snapchat grew by seven million users in the last quarter, but that was still a miss -- while it hit 173 million users by the end of Q2, investors anticipated it hitting 175.2 million instead. Its share price declined by roughly 6% as the company also reported its average revenue per user was $0.02 lower than predicted. Snap Inc. has had a rocky journey since its IPO earlier this year. It will be interesting to see what they innovate next to compete with Facebook and Instagram in the battle for the most popular camera and sharing app. 3) Facebook's News Feed algorithm will start penalizing sites that aren't optimized for mobile. If your site isn't already optimized for mobile users, this ebook can help you get started. 4) Facebook has started autoplaying News Feed videos -- with the sound on. 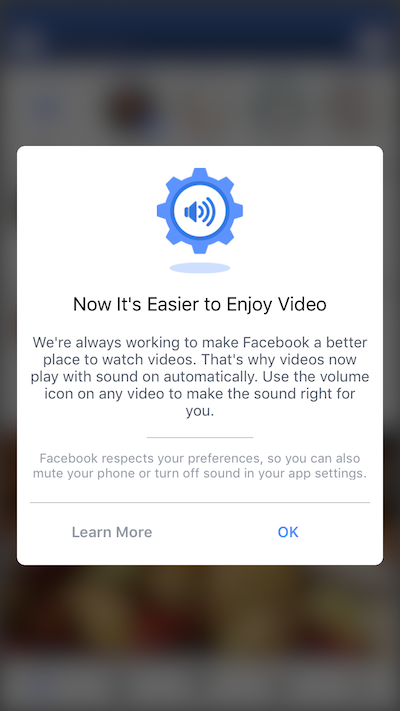 Facebook has been gradually rolling out volume-on video autoplay for several months, but this announcement marks a big change to what's largely been a silent world, with more than 85% of Facebook users preferring to watch videos without sound. Facebook made a few big upgrades to its in-app camera this month. Swipe right on your News Feed on the mobile app to start broadcasting live, or to create a GIF and immediately share content on your Facebook Story or in a new post. 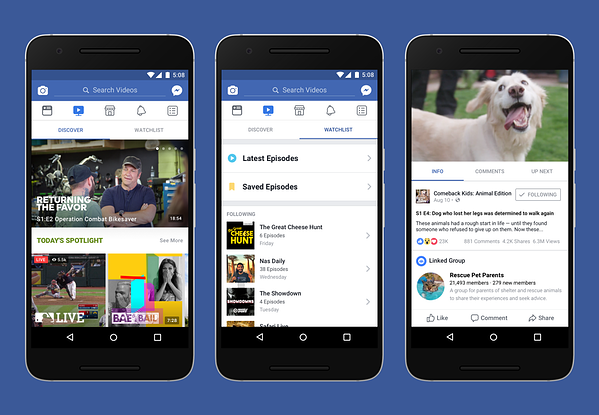 Facebook's going all in on video content this month -- most notably, with its launch of the Watch tab, where creators and networks are developing original content specifically for the social network. Tap the video icon to see what creators like MLB, A&E, and Refinery29 are creating for Facebook, in yet another move to keep more people coming to its site to get what they need -- namely, entertainment. 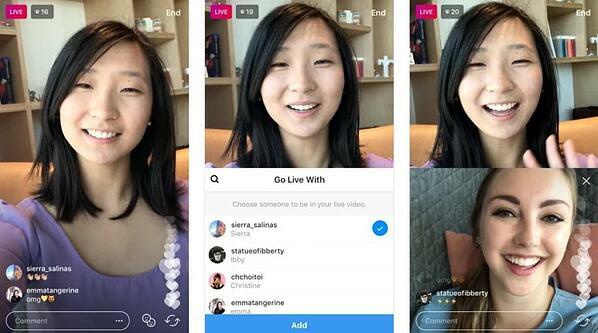 7) Instagram launched Instagram Live -- with two users. Instagram will now let you go live with a friend -- featuring a split broadcast screen like the one shown below. 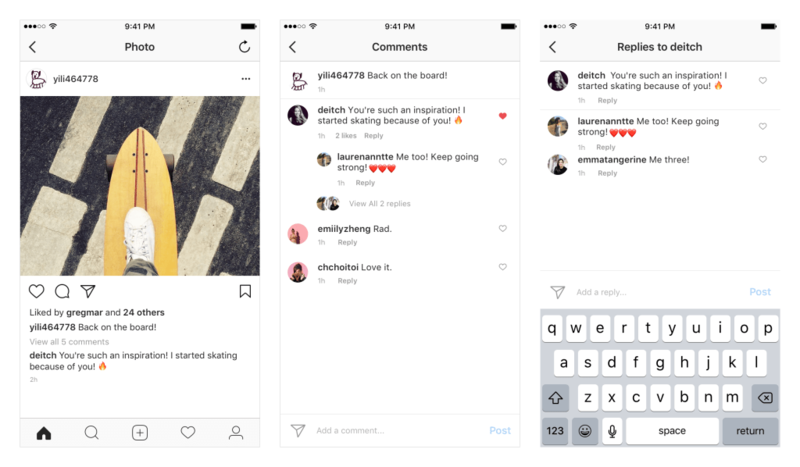 Instagram and Facebook rolled out a small UX change that will make engagement and interactivity a bit easier for users -- by launching threaded comments. Any user knows the pain of trying to track down a friend's comment when they've been tagged in a popular post on Facebook or Instagram, and this change solves that problem -- and might make users more keen to tag friends in comments (which signal engagement in both apps' news feeds). Last month, Instagram announced the ability to reply to Stories and Direct Messages with photos and videos. And this month, users can reply with melded photos and videos that manipulate the original image -- like in the example below. The next time you see a photo or video you want to reply to, tap the thumbnail in the upper right-hand corner to edit it with drawings or emojis, and add your own half-selfie to it. Pinterest added a few new ways to search for images, as well as a subtle UX change that now allows users to pinch and zoom in and out on photos of pins. This might seem like it's not worth even writing up, but this change is a nod to other visual-first social networks, like Instagram and Facebook. As Pinterest becomes a more shoppable social network, with the ability for users to tap and buy specific products within pins, it will be interesting to see how the competition heats up. At the very end of this month, YouTube unveiled a whole new visual identity -- including a new logo for the first time. Two of the big changes that marketers will want to make note of? The new in-app messaging feature, and the responsive video display that now shows vertical and square videos. 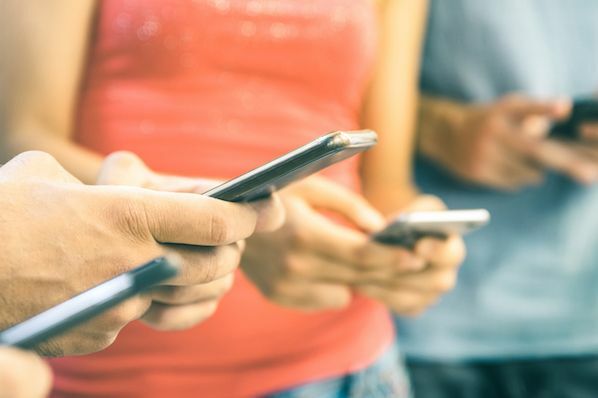 The new in-app messaging lets users share videos with friends without having to leave the app, which is the new name of the game for social networks -- getting people to do what they want, without having to leave the platform. Plus, this feature is also a step toward YouTube competing with Facebook for a bigger piece of the video-watching pie. 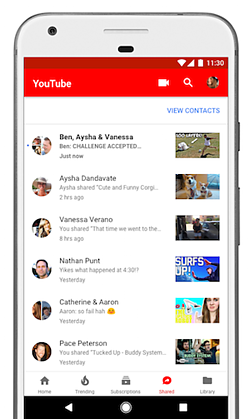 And in another change, YouTube now supports vertical and square video formats, in addition to horizontal video. Remind you of anything -- like, perhaps, every other social network? Vertical videos were made popular by Snapchat, and are all over Instagram and Facebook now. The same goes for square videos. Why? Because these formats take up a greater share of the mobile user's screen -- keeping them more engaged in the app while they spend time streaming. Marketers should consider making YouTube part of their video distribution strategies besides just social media.